Called to the Bar in 1975, Edward Targowski became Queen’s Counsel in 1989. From 1985 until 1987 he held the appointment of Senior Magistrate and Coroner in the Republic of Seychelles. He is now one of the most experienced and able silks practicing in criminal law in Scotland. Edward has represented clients in criminal trials, appeals and inquiries in some of the most controversial legal cases in Scotland. He has represented many parents accused of physical, sexual and satanic abuse of their children. 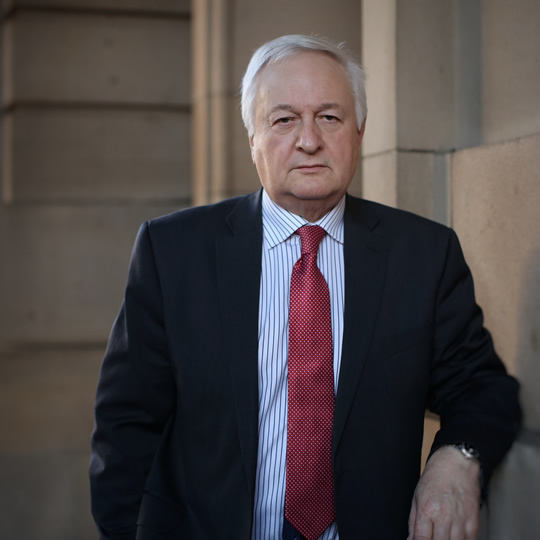 He acted for the parents accused of satanic child abuse in Orkney and led the legal representation on their behalf at the public inquiry that resulted in the Clyde Report. During his appointment as Senior Advocate Depute he was responsible for the successful prosecution of many High Court cases. Edward provides advice and representation to private and commercial clients on all aspects of fraud, embezzlement, proceeds of crime and money laundering legislation, including restraint orders. He has had notable success in various road traffic cases.